We at Dr. Chandra's THE DENTAL PRECISION Dental Clinic & Implant Centre, believe in offering quality dental care to our patients, i.e., the finest treatment possible which will eliminate their problems and satisfy their needs. 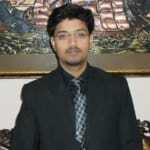 Dr. Jayesh Chandra is a popular Dentist in Gomti Nagar, Lucknow. He has been a practicing Dentist for 9 years. He has completed BDS . You can meet Dr. Jayesh Chandra personally at Dr. Chandra's - THE DENTAL PRECISION - Dental Clinic & Implant Centre in Gomti Nagar, Lucknow. Save your time and book an appointment online with Dr. Jayesh Chandra on Lybrate.com. Lybrate.com has a nexus of the most experienced Dentists in India. You will find Dentists with more than 44 years of experience on Lybrate.com. You can find Dentists online in Lucknow and from across India. View the profile of medical specialists and their reviews from other patients to make an informed decision. I had an amazing experience. As I have got few RCT's done few years back by another doctor I know that there is pain during the procedure. But when I visited this doctor for a RCT I was pleasantly surprised to know that a RCT can be so RCT painless. Didn't feel anything at all. No pain, nothing. Exceptional dentist! Don't cap your toothbrush while travelling. Capping the toothbrush may entrap moisture & encourage bacterial growth. I am 23 years old girl I am having front left side teeth tilted I don't want to put braces. What shoud I do? You may consider invisalign in that case. It is an orthodontic treatment without braces. But yes it is costly. I am 45 years old. I have severe tooth ache since the past one month. But there is no decay. Kindly advise. Go to a dentist. He will evaluate the situation & if required can do an x-ray to assess the exact problem & guide you accordingly. I am 47 seven years old male. I was using gutkha since 15 years, I left gutkha from 24. 02. 2015 completely. Now I am able to open my mouth only 1/2 inch wide. Please suggest. You seem to be suffering from osmf. Visit a dentist & get the exact situation evaluated. Buy if the opening is only 1/2 inch as you described, a surgical intervention is necessary. Aged 54. Diabetes patient. Three teeth fell down up and down side. I cant take hot or cold drinks.Often i affected gum swelling either right or left side. Using herbal tooth paste and soft brush only. Recently one doctor given prescription as: Tab ZERODOL sp ; T. METROGYL 400gm ; cap TRESMOX LB 500 mg & T. CYRA-D all for three days. But on that day i can have no problems. But again its giving problems. I only take chicken monthly once. Please give permanent solutions. I belongs to lower middle class family. Diabetics are more prone to gum diseases if oral hygiene is not properly taken care of. The swelling you are talking about is the manifestation of the gum disease. So its better that you visit a dentist for cleaning of your teeth & then the dentist can assess the exact condition of your teeth & can provide the appropriate treatment. But make it a point to brush your teeth & use a mouthwash twice daily & get your teeth cleaned once in 6 months. I am 34 but i think i dont have wisdom tooth. Is it possible? If yes then at what age does it come? You need to get an OPG Xray done so that the exact position of all your wisdom teeth can be ascertained. Sometimes they can get stuck in the jaw bone itself & sometimes they can be mal-aligned causing damage to the adjacent tooth. So its better to consult a dentist. If you get your tooth knocked out, put it in milk & hold it in your mouth. This will help your tooth to survive longer. Make sure you see a dentist rightaway. My niece she's 7 and her both upper teeth have broken and its been a year but the teeth haven't grown back,no signs of them.The gum is closed. Wait for 6-8 months. If they do not erupt within this time get an OPG xray done & consult a dentist. Persons with uncontrolled diabetes are at more risk of developing gum disease & thereby losing their teeth early if the gum disease is not properly taken care of.